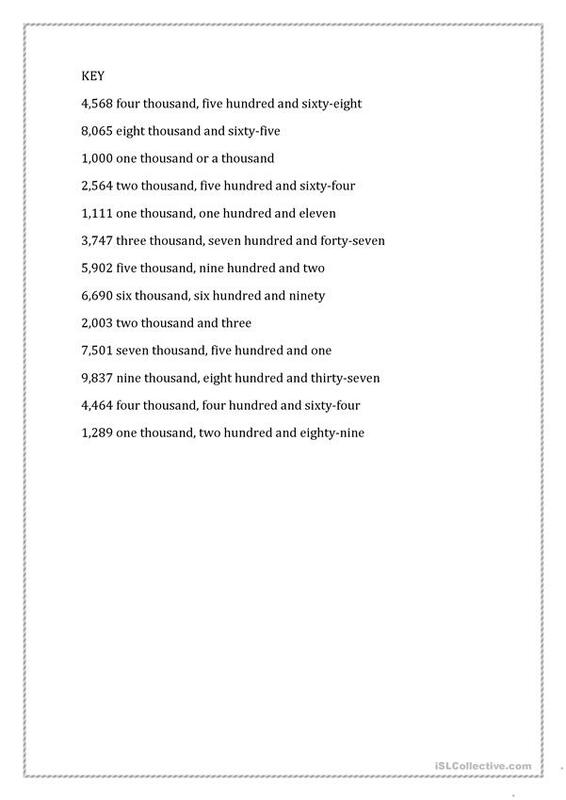 There is an explanation on how to write large numbers followed by an exercise and the key. Ss are asked to write the numbers in words. 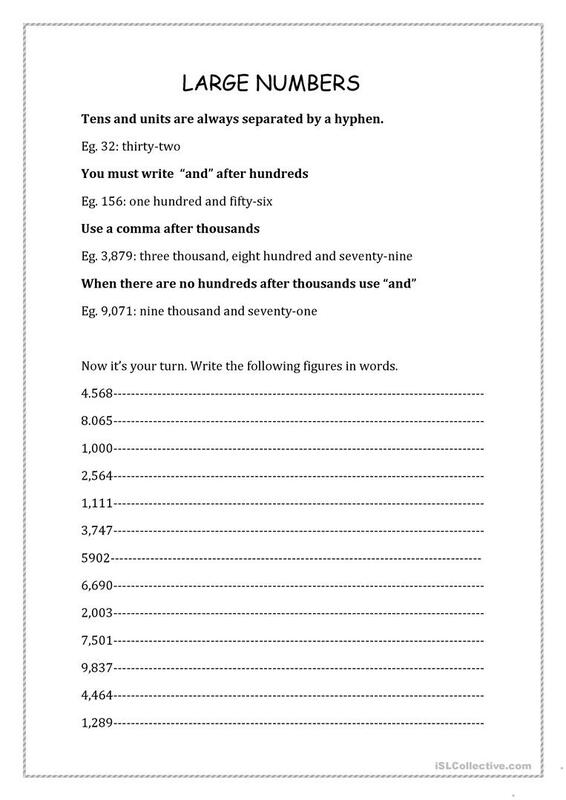 More worksheets will follow on the same topic. I hope you like it. The above downloadable handout is intended for high school students and adults at Intermediate (B1) and Upper-intermediate (B2) level. It is useful for enhancing your groups' Writing skills. It features the topic and words of Numbers. You will find the solution at the end of the worksheet.